EA Mechanics Co., Ltd. was invited to the recent keel laying ceremony of “Rue Tha Rue 124” tugboat. 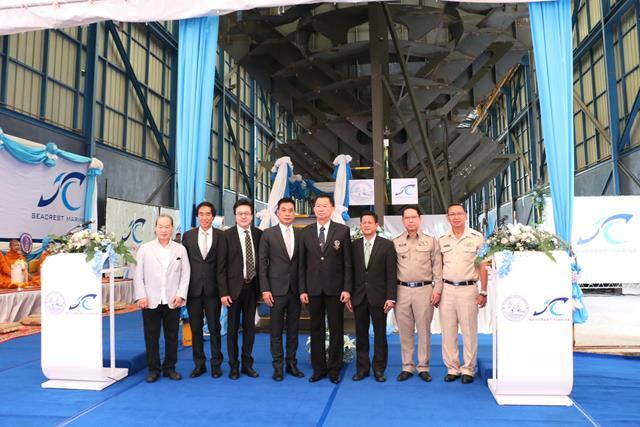 The event was led by Admiral Apiwat Srivardhana – Chairman of Port Authority of Thailand’s board, Mr. Kajornsak Putthanupap – Director of Port Authority of Thailand and group of guests of honor at the ceremony on June 30th, 2016 at Sea Crest Marine’s shipyard in Samutprakarn. As the leader of Port and Marine organization – Port Authority of Thailand had selected engines for drive firefighting pump from EA Mechanics to be a part of “Rue Tha Rue 124” tugboat. Maximum Full Load Draft: 4.27 m.
Admiral Apiwat Srivardhana – Chairman of Port Authority of Thailand’s board (middle) and guests of honor. 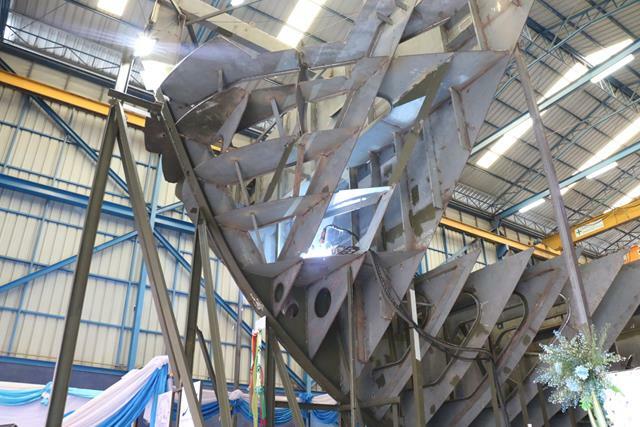 Keel laying “Rue Tha Rue 124” tugboat.